The Heart of England on 11th May has changed venue from Witney and Bicester. It is now at Banbury. Sorry but there is no sprints group training today because Tony and Meg are at a competition for the Under 17 and Under 20 athletes – Good luck to those who are competing. Please remember that the first Grand Prix event takes place on 10 May at Kingsbury Parkrun. Further details are available here: Grand Prix information. Put the date in your diaries now! 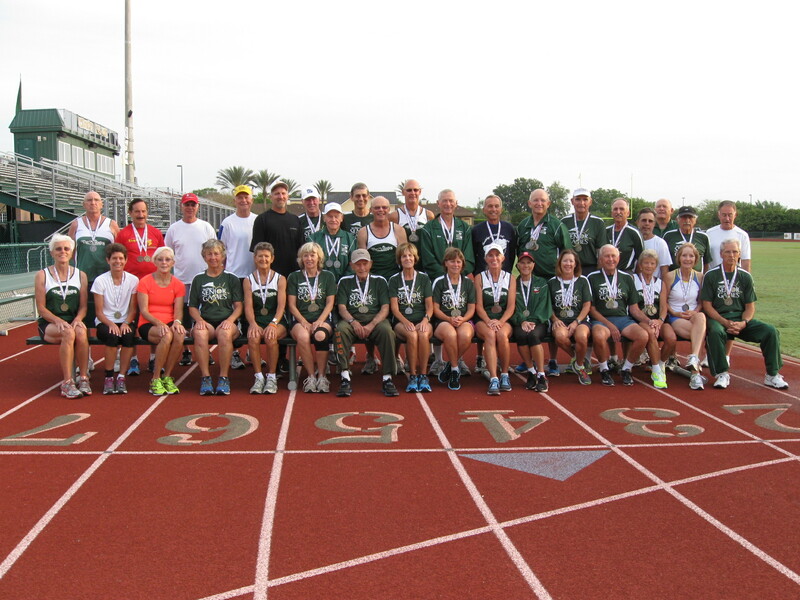 News from Florida where John Topliss and Maureen Lewington were both in action at the Villages Senior Games. The event was for athletes aged over 50 with the oldest athlete competing being 91! John showed he still has a great turn of speed being part of the M70 winning 4x100m team (they set a new state record of 59.66). Maureen took silver in the shot and was also part of the women’s M65 4×100 team. Here’s a photo of the team with John in the middle (without his trademark hat). 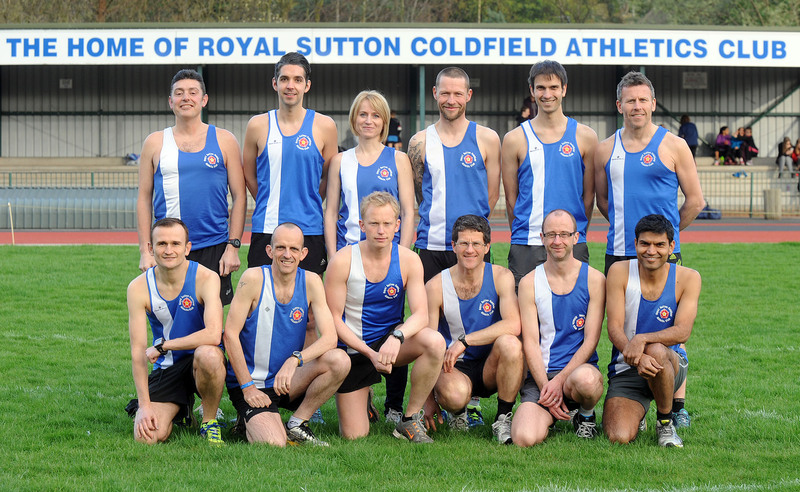 The Warwickshire County Championships take place this year on 17/18 May at the Pingles Stadium, Nuneaton. There are events for all age groups, from U11s to seniors. The closing date for entries is 2nd May and entries can be done online or by post. Please keep training hard and make sure you’re available for all these important matches. Let’s have a fantastic start to the season!